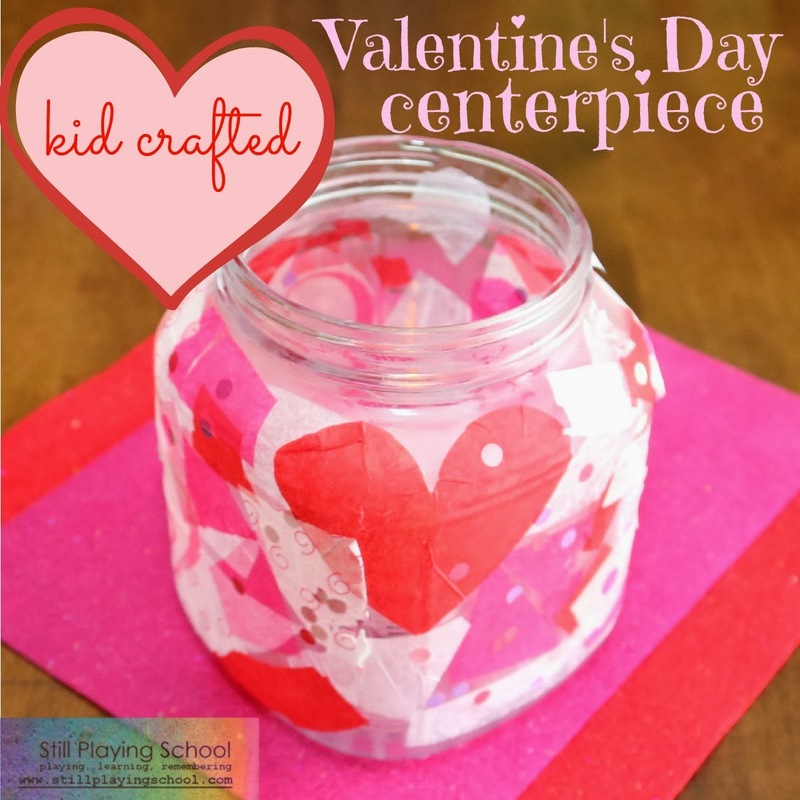 Today's invitation to create is a tried and true craft method that always yields pretty results! 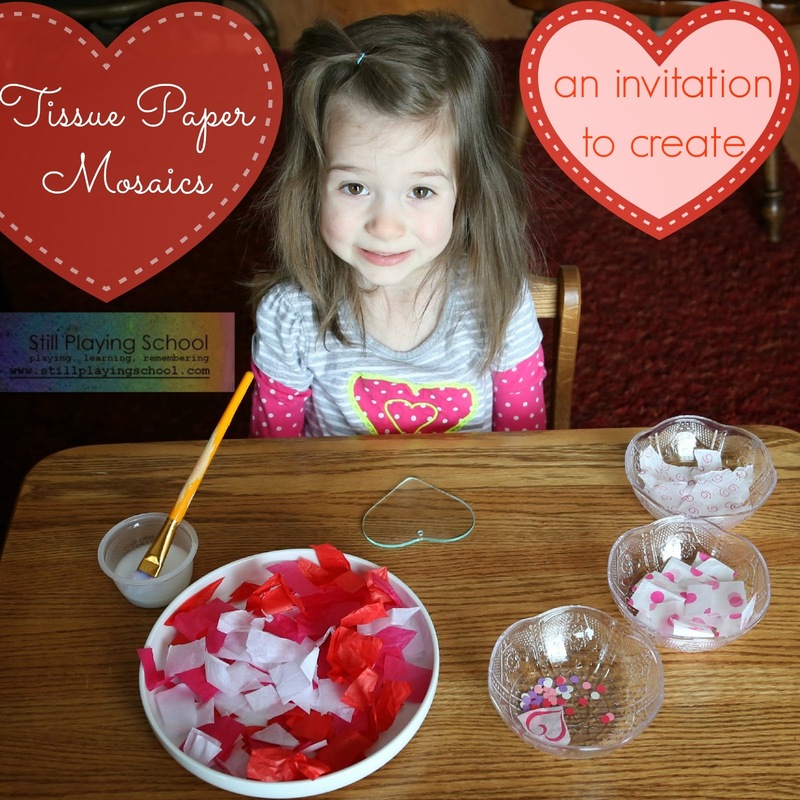 We made Valentine's Day tissue paper mosaics! 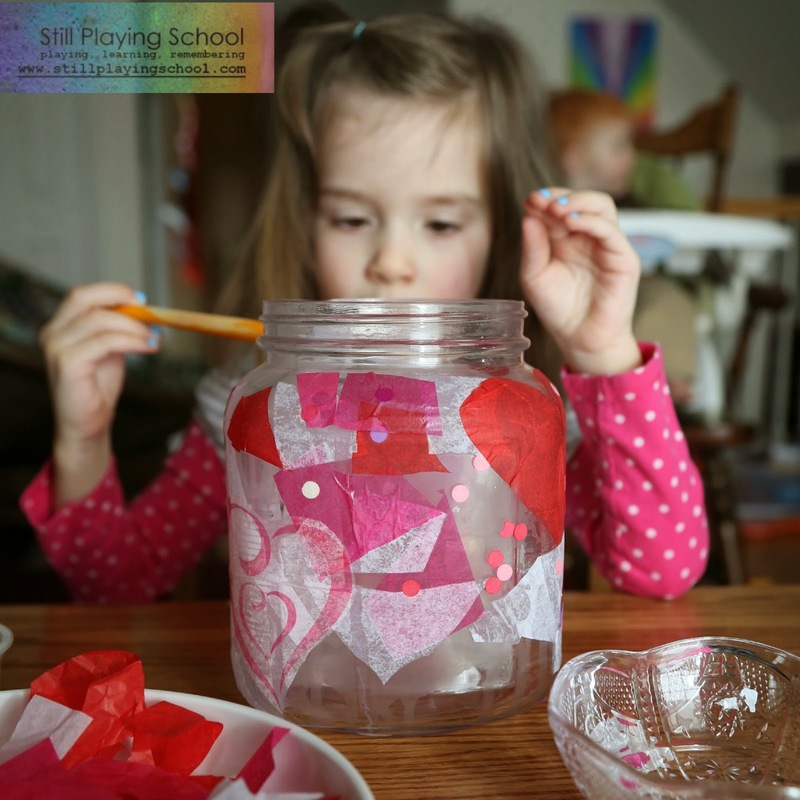 You will need tissue paper, glue, water, a paintbrush, and a glass surface to decorate. 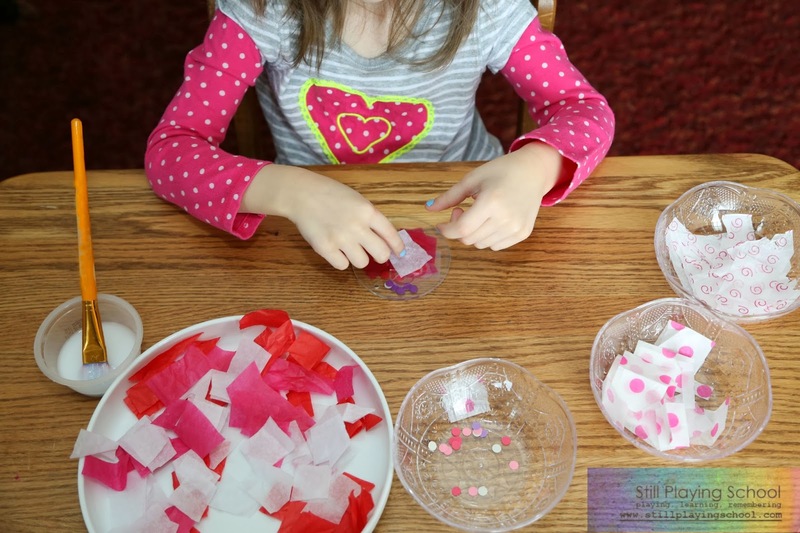 I also used the hole punched confetti from our balloon static science experiment. 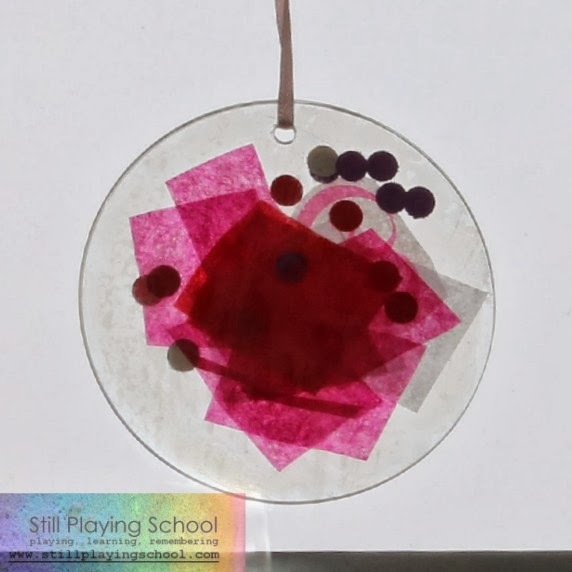 I love the way the little dots look added to the layers of tissue paper! Water down the glue and brush onto a glass surface. We decorated a few glass ornaments and a large jar for a centerpiece for our table but this craft technique is fabulous on recycled glass baby food jars, too! 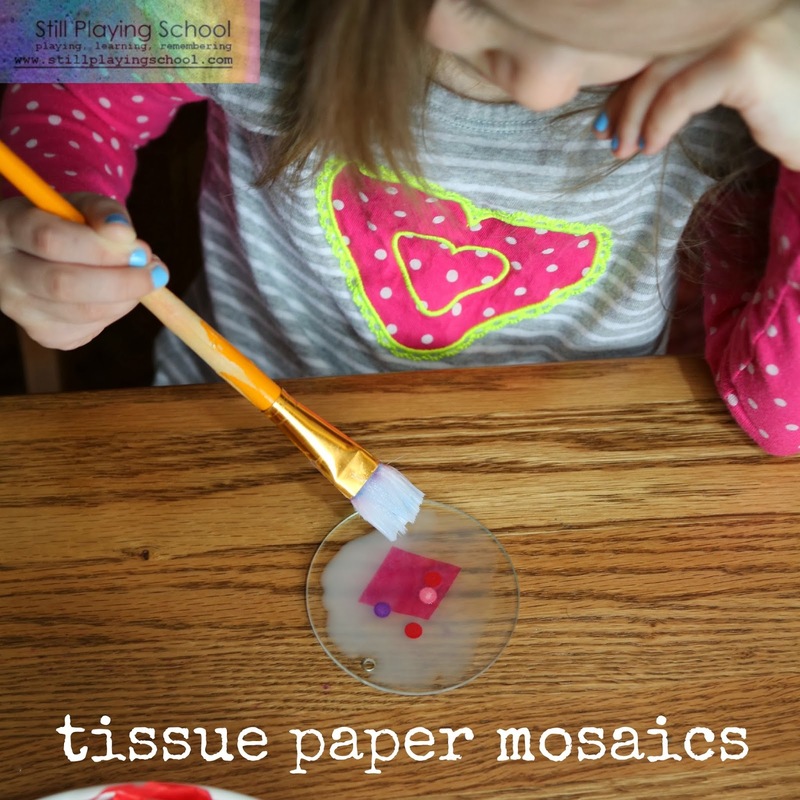 Add the paper to the surface, then gently brush or dab more of the glue mixture on top to seal the tissue paper down. Layer more pretty colors as you go! 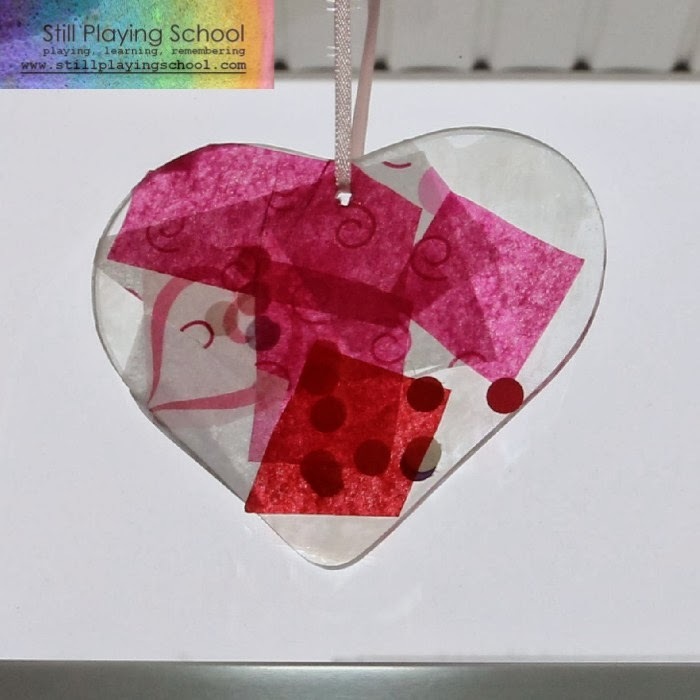 We loved using polka dot, swirl, and heart printed tissue paper with the solid red, pink, and white! While E was working on her decoupage mosaic D had one of his own! 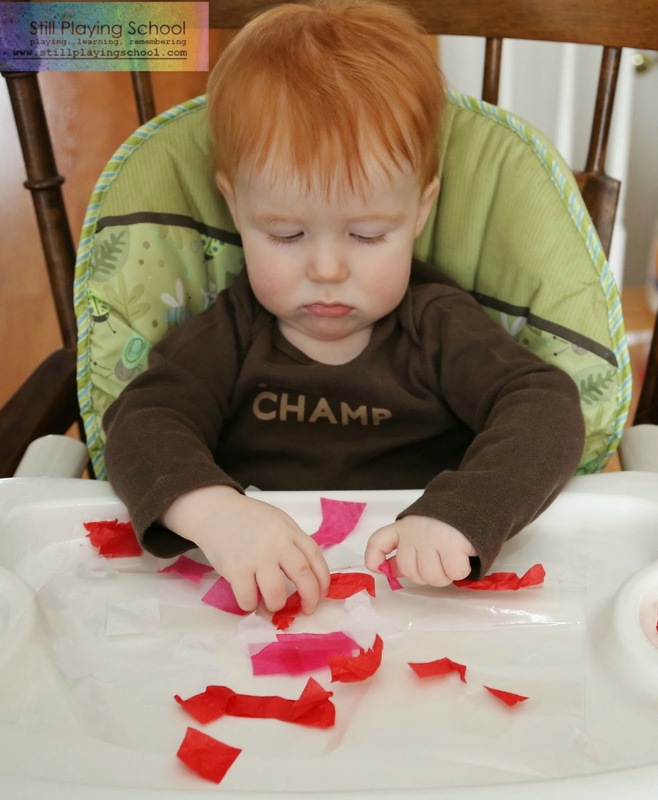 His invitation was contact paper on his high chair tray with the same tissue paper to explore! 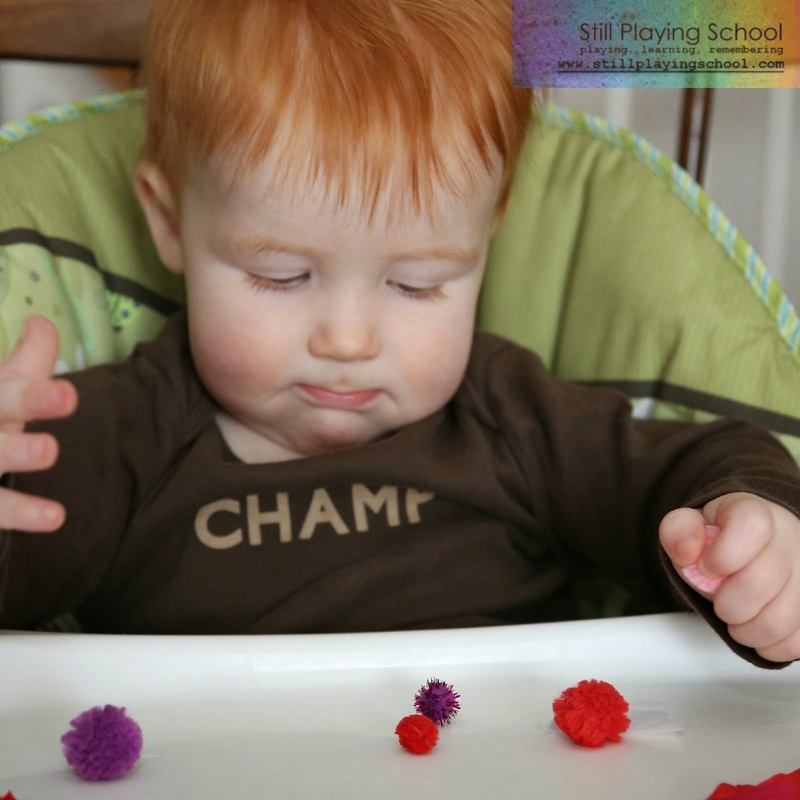 When his mosaic was complete we let him check out the pompoms that we used in our valentine sensory bin a few years ago! Why, yes, I do keep everything! Look at D practicing his pincher grasp. The ornaments look like stained glass hanging in our windows. The centerpiece is perfect for our table. It looks festive with a battery operated tealight candle inside! 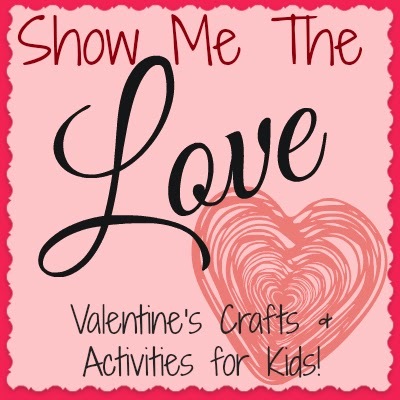 We'll be showing you the love all week! Good job E and Miss Devany! These look perfectly gorgeous!